Councilmember Scully, Mayor pro tem, called the meeting to order at 7:00pm. Mayor Hall was excused for personal business. Deputy Mayor Salomon has submitted his resignation. All other councilmembers were present. Councilmember Scully proclaimed January 21, 2019 as Martin Luther King, Jr. Day. He presented the Proclamation to Stephanie Johnson-Tolliver, Carol Peoples-Procter, and J. Paul Blake from the Black Heritage Society of Washington. David Francis, Shoreline Public Arts Coordinator, spoke about the upcoming visual art exhibition “Living the Dream, Dreaming the Life: Edwin Pratt in the 21st Century.” Edwin Pratt was the first black homeowner in Shoreline during the post-war Eisenhower years. The exhibition will run from January 26th to April 26th. Report of the City Manager, Debbie Tarry. Middle School Dance Night at Richmond Highlands Rec Center Friday, Jan 18 from 7:00pm to 11:00pm. The event is free. Volunteers are needed for park work parties Saturdays Jan 19 and 26 at Twin Ponds and RB Saltwater Park. Check the City’s web calendar for times, meeting locations and other details. The Opening Reception for the Edwin Pratt exhibit mentioned above will be held Saturday, Jan 26, 6:30-9:00pm in the lobby of Shoreline City Hall. Food and beverages and art exhibit will be on the 3rd floor. Planning Commission will meet at 7:00pm Thursday, Jan 17th in the Council Chamber. In honor of Martin Luther King Jr. Day, City Hall will be closed Monday, Jan 21st and there will be no Council Meeting. PRCS/Tree Board will meet on Thursday, Jan 24th at 7:00pm in room 303. Councilmember McConnell attended the SeaShore Transportation Meeting. WSDOT stated that, in spite of the widely held belief that adding more “lane miles” will ease traffic problems, it is not the solution. We can never create enough lane miles to solve the congestion. Instead, there is a need for more creative use of public transportation. (Lane-mile is defined as a measure of the total length of traveled pavement surface. It is the centerline length (in miles) multiplied by the number of lanes. Councilmember McGlashan attended the Elected Leadership Group for Sound Transit, which includes elected officials from Shoreline, Lake Forest Park, Kenmore, Bothell and Woodinville. As ST works to cut some of the projects, each city is working to keep the projects they view as most important. For Shoreline, that means 145th. ST wants to remove one stop for Rapid Transit at 25th and 145th, and shorten improvements on 145th from 5th NE to 17th NE. We want them to continue to at least 20th NE. McGlashan offered kudos to Shoreline staff for suggesting roundabouts that ST was not considering but has now indicated they will think about. Councilmember Roberts attended the Sound Cities Association Public Issues Committee meeting. Roberts also, with Councilmember McConnell, attended the Multicultural Elected Officials meeting and there was a discussion of the First Annual African American Male Wellness Walk taking place in Renton on July 20th. The group encouraged Shoreline to think about sponsoring or promoting the event in our community. Councilmember Scully attended the All Home Advisory Board meeting. They discussed the creation of a central agency in King County with the goal of coordinating and centralizing relief efforts for addressing homelessness. Robin McClelland presented a request to add 6,000 square feet of dedicated space for senior programs to the Pool and Recreation Center plans. The space must include a full commercial kitchen. She cited the growing number of seniors in the community and stated that the $5.7M additional cost will barely increase the expense to the taxpayers. There were no other speakers. The Agenda and the Consent Calendar were approved unanimously. There was a brief summary of the timeline and a reminder that the lease is for 99 years at a rate of $1/year. If all goes according to plan, construction is scheduled for October 2019 and occupancy for August 2020. The project is ready to move into the financing phase. The Community Psychiatric Clinic (CPC) is submitting an application for Low Income Housing Tax Credit (over 95% of low income housing uses this tax credit). CPC is so committed to this project that they have invested just over $7.5M. There were no questions and the Motion was passed unanimously. In 2013 Council adopted the Climate Action Plan that set greenhouse gas emission reduction targets. Towards meeting those targets, Council adopted a green building mandate for mixed use residential zones (MUR) around the future light rail stations. The mandate was very successful with 168 projects registered in 2018. In 2017 Council adopted the Deep Green Incentive Program (DGIP). The first application will arrive this week. Although the mandate in MUR is working, a mandate for commercial buildings outside of MUR may delay or prevent redevelopment because of different market forces. A less stringent option for qualifying for DGIP was proposed. The various Green Building programs were compared for the City by Rushing and Co since such a comparison was not available at the time. Staff also requested feedback from several market rate developers such as Merlone Geier, potential developer of Shoreline Place (former site of Sears), green building certification agencies, and King County. Among other incentives, DGIP provides potential reductions to minimum parking regulations. However, using the parking reductions of DGIP, there is only a 5% reduction for the newly added (and most easily achieved) green building. To attract commercial developers, the Planning Commission introduced the idea of making the parking incentives cumulative. Zone, proximity to transit, affordable housing, and level of green building would all be used. Councilmember Chang has concerns about making parking incentives cumulative. Although a building may be near transit, we do not have the necessary transit infrastructure within Shoreline. People still own and need cars. Also neighborhood parking is affected by spillover parking. Ms. Redinger mentioned there has been only one incentive applicant in the 18 months DGIP has been in effect. But this is not a concern for Chang because Seattle’s results are very low as well, especially considering that city’s size. Redinger also mentioned modeling vs. performance measures - is it possible that the performance measure strengthens the developer’s desire to fully comply? The main difference between robust modeling vs performance measure is how long it takes to certify. Performance measures need to fit into the City’s permitting process because once the City has issued the Certificate of Occupancy, the City’s process is done. There is no process for re-activating the process in a year or so to evaluate performance. Modeling, on the other hand, requires only a letter from the third party verifier stating the tests have been completed and the building will meet the certification. This is done when the City is issuing the final. Certificate of Occupancy. Councilmember McGlashan prefers incentives over mandates. As respects parking, he recounted concerns about traffic when SHAG (Senior Housing Assistance Group) had their project in Shoreline. SHAG has data on all of their projects and about 70% of their occupants don’t have cars. They are close to transit, offer vehicles for residents to use, and offer transportation to stores. At the same time McGlashan does not want spillover parking to create neighborhood problems. Councilmember Roberts also agrees with incentives over mandates as we work towards protecting our local environment and our planet. Roberts feels there is a better chance of getting greener buildings with incentives. It’s possible the developer will choose the lowest available mandate, but with incentives may target higher rated green construction. Roberts also agrees with the proposal for cumulative parking incentives because not every commercial developer is going to want the minimum parking. In other parts of the code it is stated you must bundle parking with units. That is, you cannot make a separate charge for parking since that encourages tenants to save the additional cost by parking on the street. He believes we will see improvements in our transit infrastructure. Councilmember McConnell doesn’t think it’s that important to measure performance. If you are building a structure that is, by definition, “green” then it is achieving the goal of saving resources. Well crafted incentives are better than mandates and reward the developer where it counts: the pocketbook. Councilmember Chang requested clarification of what is being discussed. Building codes have changed dramatically because of huge changes in the Energy Code, making a big difference from the original construction of the building. What are we incentivizing? Answer: we are talking about adding a lower level (more attainable) green option. 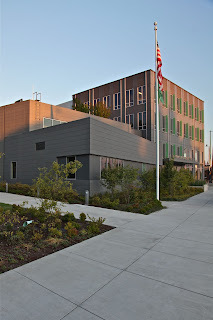 And while the Washington State Energy Code continues to change, the green building programs are updated with those changes in order to maintain their relative “greenness.” More importantly, the green building programs have a more holistic approach than building codes, focusing on materials, water, salmon and stormwater, use of non-toxic materials and so forth. Chang would like data supporting the statement “with more affordable housing, you would expect fewer cars” because if you are working multiple jobs and working different shifts, transit is not always an option and you need a car to get from job to job. Answer: Staff will find some data on that. Nate Daum joined Redinger at the microphone and stated there is data available. As incomes go up, the rate of car ownership goes up. Approximately 20% of people in the lowest income bracket do not own cars. As an interesting aside, Daum said during the Recession national car ownership went down and pundits predicted a cultural change. But when the economy improved, car ownership went up everyplace but Washington and two other states. This was attributed to current public transportation. Councilmember Roberts asked and received confirmation that these changes would not apply to MUR areas around the future light rail stations, with the exception of the cumulative approach which will apply in both. Councilmember Chang questions why we need to incentivize the mandatory MUR regulation with reduced minimum parking. It has been in effect only a year and a half, light rail is not here yet, the area around the light rail stations has not been developed, and the mandate has proven successful. Flooding the neighborhoods with street parking creates a lot of resentment towards increased density. Councilmember McGlashan would like to see the Ordinance as proposed brought back to Council. He stated his belief that when light rail comes here we will see the use of ZIP cars and other car-share options become available and Shoreline might start seeing the transition to being less auto-dependent. Councilmember Scully would like to see some incentives that aren’t parking dependent. As we continue to build, it won’t take long to use up the current parking capacity. He doesn’t want Shoreline to be like North Seattle where parking is miserable. It’s hard to add parking capacity once it’s removed. So he would like to see some other incentives. Answer: parking is just one of several incentives. It was brought up here because adding the lower, more accessible, green option allowed only 5% reduction for parking. In order to increase that, the idea of cumulative credits was considered. Scully would like is stats on 60-100% of the Area Median Income car usage. He feels these are the people who have cars because they need them to get to their jobs. Debbie Tarry requested clarification of what is supposed to came back to Council. Is it the Ordinance as proposed for Adoption? Or is there a request for an Amendment? Councilmembers Chang and Scully cannot support the Ordinance as proposed because they are not comfortable with the cumulative approach. Ms. Redinger: that is a very small part of the Ordinance. The ordinance is mostly about adding the more accessible green option. Councilmember Roberts reminded everyone that there will be a new council member on January 28th and the February 4th meeting will be the first opportunity for this member to discuss and suggest amendments. Since there is no critical reason to move this forward on February 4th, it was agreed to move it to later in March to allow the new member time to get up to speed. It will return as an Action Item instead of Consent to allow additional discussion. All of the updates relate to Standby and Callback Policy. Included there is a definition for “Fit for Duty,” updated standby procedures, and minimum callback hours increased from two to three. Council comments: the language for standby procedures is changed from “expected to report to work in 60 minutes” to “60 minutes but no later than 90 minutes.” This was changed in recognition of some commutes taking longer than an hour. 60 minutes remains the goal. Standby provides pro-active staffing. In a real emergency, the first responders would be taking care of the situation while all hands are called in to support them. Standby employees are in the public works/streets crew and the Customer Response Team representatives. The handbook needs to have any gender references removed. Resolution moved to Consent Calendar with addition of removing gender references. The Council left for a 30 minute Executive Session. Councilman Scully returned at 9:30pm and adjourned the meeting.